Fresh produce, stuff you can buy first hand at Istanbul's local markets. The town markets called pazar can look overwhelming at first, but you'll surely be welcomed warmly by stallholders. Communication may be difficult, but the experience is priceless. 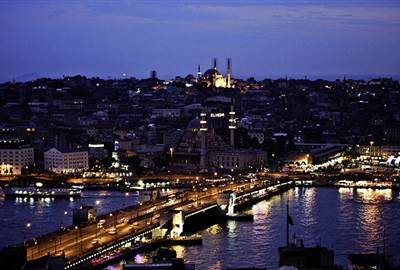 Istanbul’s nightlife is world class, they can compete with the rest of the world. Whether you want to enjoy a (local) live performance, attend concerts, drink and dance the night away or simply enjoy rooftop 360 view, Istanbul has it all. There are several hamams or Turkish spa available in the city. Some were established as early as 1556. You will find great pampering and rejuvenation at one of those spas after your tour around the city. 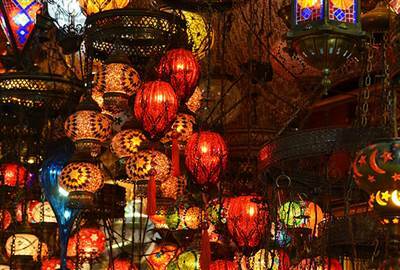 There is a 500-year old bazaar in Istanbul. It is one of the largest covered bazaars in the world with 60 streets, 5000 shops, 60 restaurants, 18 fountains, 12 mosques, and even a school. This is where to find the best deals for carpets, leather, ceramics, souvenirs and jewelry. The city is home to olden and fascinating museums, mosque, palace and churches showcasing Istanbul's rich history and culture. Istanbul is well-known for delicious ethnic cuisine, vibrant culture, splendid shopping, plenty of sun and sea combined with impressive historical architecture and warm people. The place deserves to be included on anyone's travel bucketlist. Hagia Sophia was a Greek Orthodox Christian patriarchal basilica (church), later an imperial mosque, and now a museum in Istanbul. It was constructed in 537 AD. The building was converted into an Ottoman mosque from May 29, 1453 until 1931 and opened as a museum on February 1, 1935. 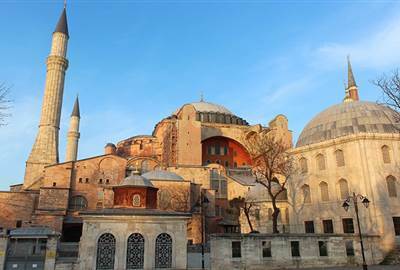 It is famous for its massive dome and is considered the epitome of Byzantine architecture. 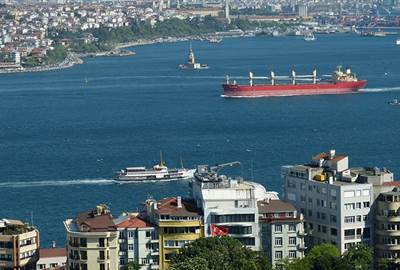 The Bosphorus is a narrow, natural strait and an internationally significant waterway located in northwestern Turkey. Most of the shores of the strait are heavily settled, straddled by the city of Istanbul's metropolitan population of 17 million inhabitants. 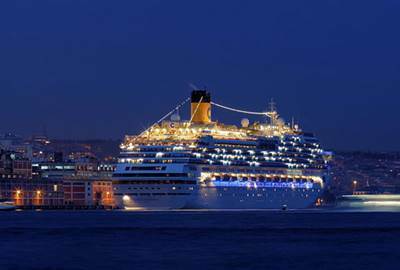 Cruising Bosphorus will provide a nice overview of the city, both the European and Asian shores of the famous waterway, century old palaces and mansions galore. Taksim Square is situated in Beyoğlu in the European part of Istanbul, Turkey. 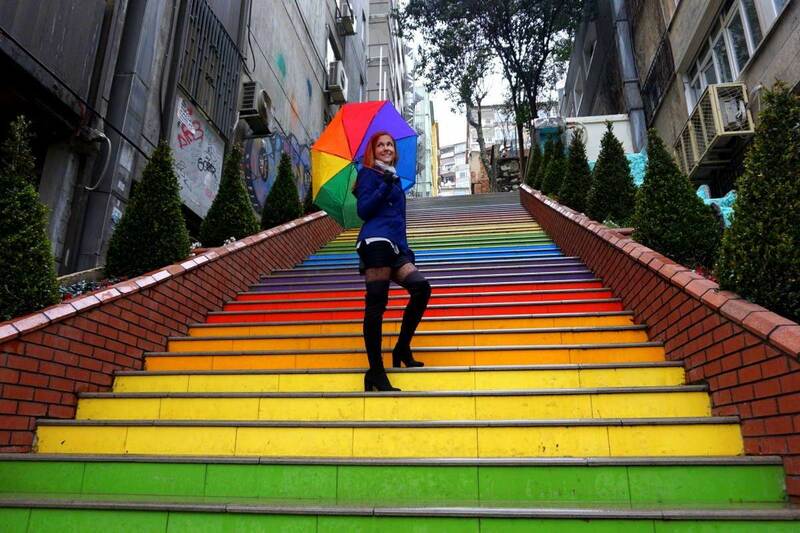 It is a major tourist and leisure district famed for its restaurants, shops, and hotels and is considered the heart of modern Istanbul, with the central station of the Istanbul Metro network. 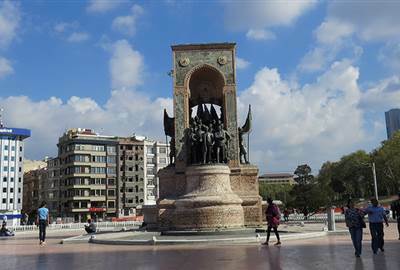 Taksim Square is also the location of the Monument of the Republic. Inaugurated in 1928, he monument is a commemoration of the 5th anniversary of the foundation of the Republic of Turkey in 1923. 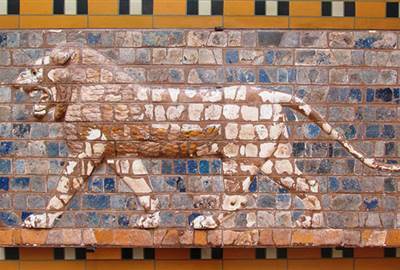 The Istanbul Archaeology Museums is a group of three archeological museums located in the Eminönü district of Istanbul. This is a real hidden Istanbul gem, displaying one of the world’s richest collections of classical antiquities. Top attractions here are the marvelous sarcophagus of Alexander the Great depicting important phases of his life, the blue tiled Karaman Mihrab, the beautiful Tiled Pavilion, and the Treaty of Kadesh – the world’s earliest surviving peace treaty. 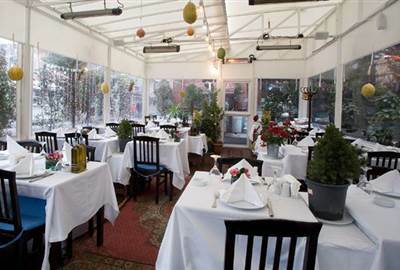 Şans Restaurant was founded in Levent, a neighborhood and one of the main business districts of Istanbul. 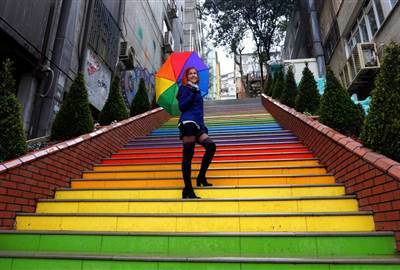 It was opened in 1992, in a village in a two-story garden. 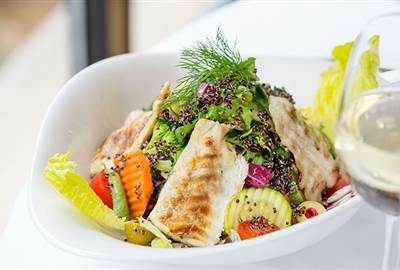 Today, the restaurant offers seasonal flavors of Mediterranean and Turkish cuisine with a contemporary presentation. 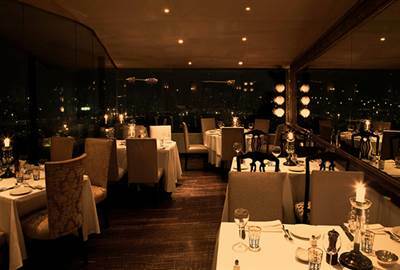 Sans Restaurant was awarded for having one of the most outstanding restaurant wine lists in the world. 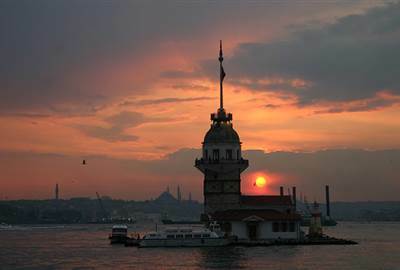 Istanbul Dinner Cruises started serving Istanbul boat cruises in 2001. They offer İstanbul’s traditional dishes, appetizers, and desserts. You may also enjoy the rich culture through dances, ceremonies, and the turna folk team, during a dinner cruise. Balikci Sabahattin is located in an old wooden building that was constructed in 1927. It is a surprising place to find one of Istanbul’s best fish restaurant. The meal is an all-inclusive fixed-price, reasonable and well prepared to boot. The New York Times featured the restaurant twice in the first three months of 2000. Ulus 29 established in 1993, is a classic restaurant which focuses on gastronomic concepts with traditional cooking methods. The restaurant makes its own dry aged meats as well as ice cream and pasta for an authentic experience. Aside from the good food, it is also a perfect place to view Bosphorus and the bridges of Istanbul from the restaurant’s terraces. 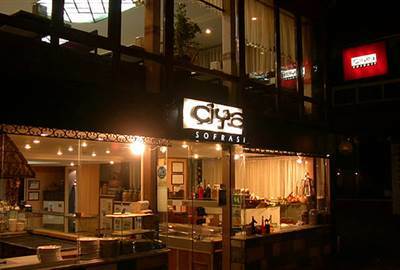 Ciya was established in 1987 as a modest restaurant of kebap, lahmacun and pide. A writer once described Ciya as "a garden of lost cultures and forgotten tastes." Located in the Fish Market district of Kadikoy, the cache of culinary knowledge at Çiya will take you for a kitchen journey rich in dishes from a broad geographical space, spanning from Mesopotamia to the Ottomans, from the Balkans to the Caucasus and from Asia to the Arabian Peninsula. Housed in an old wooden building with a pleasant garden close to the Sea of Marmara, Giritli is the most convenient and best place to indulge in an all- inclusive meyhane (tavern) style meal. 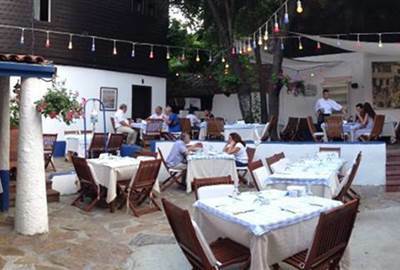 They offer local wine, beer or the aniseed spirit raki and fish mains grilled to perfection. 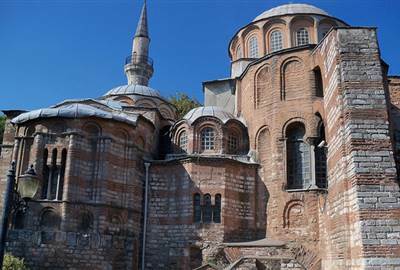 The Chora Church, Church of St Savior, or Kariye Museum is one of the most amazing religious buildings Istanbul has to offer. The walls and ceilings of the church are adorned with stunning Byzantine mosaics and fabulous frescoes. Some are considered as the most significant in the Christian world. You may also enjoy the remains of the fifth century city walls and the wooden Ottoman houses while around the place. Turkish cuisine is very diverse and world renowned. Istanbul is a melting pot of cultures, and all these influences pleasantly affect the food scene. When in Istanbul, you may forget about the international food chain, and experience real Turkish food. The cooking of Istanbul inherits many elements of Ottoman court cuisine, with a lighter use of spices, a preference for rice over bulgur, koftes and a wider availability of vegetable stews, eggplant, stuffed dolmas and fish.